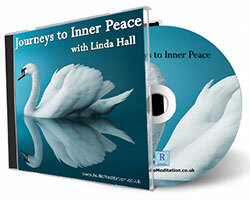 Relaxing guided meditations take you on a journey to inner peace and contentment. Offering inspiring and nurturing guided imagery, this collection of guided meditations draws on a rich tradition of metaphor and positive suggestion to support your personal development, inner well-being and spiritual growth. Recommended if you are looking for meditation for self growth or a creative way of how to deal with stress. Guided imagery is a powerful and effective way to induce positive states of well-being and learn how to deal with stress. Working with the subconscious mind, guided imagery imprints the body’s neural pathways and cellular memory with feel-good, insightful experience to promote personal development and inner peace. In this fast moving 21st Century world, spiritual growth can easily be overlooked. 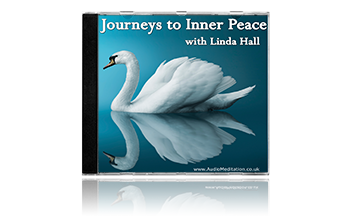 These beautiful guided meditations offer life affirming visualisations that will support your spiritual growth.Journeys To Inner Peace connects you to the beauty of the natural world and puts you in touch with your inner power, self-worth and innate resources. It includes a wonderful guided imagery manifestation meditation for self growth where you meet your spiritual guide and realise your wishes, hopes and dreams. The tender and optimistic tone of this CD will touch and inspire you. May be beneficial for building inner confidence and self-esteem.